The U.S. Food and Drug Administration today announced it will not renew the charter of the Food Advisory Committee. FDA instead will address relevant issues using other standing committees and consulting with individual additional experts in appropriate subjects as needed. In addition, the agency will continue its robust stakeholder engagement program and to solicit broad public and expert input on its policy documents and regulations. The FDA’s Food Advisory Committee has held only a handful of meetings over the past several years and has not met since 2015. Therefore, FDA has determined that the effort and expense of maintaining the advisory committee is no longer justified…The Food Advisory Committee was established on March 6, 1992. The termination of the Food Advisory Committee is effective December 12, 2017. 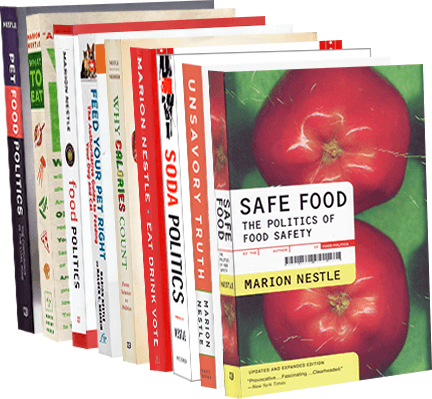 I was a member of the first Food Advisory Committee from 1992-1994—as one of four consumer representatives on a committee of about 30. We were there during the time the FDA was approving genetically modified bovine somatotropin and the Flavr Savr tomato. The four of us did all we could to get the FDA to label GMOs, but no luck. My abiding memory of this committee was our debriefing when we rotated off it. By that time, we were puzzled as to the committee’s purpose (since the FDA never seemed to pay much attention to our recommendations). The answer: the purpose of the committee was to give the FDA early insight into how its decisions—decisions it had already made—would be perceived. Nevertheless, I co-signed a letter to the FDA calling for retention of the committee and for making it more useful. CFSAN [FDA] has indicated that it will continue to hold workshops, meetings, conferences, and webinars to engage with its stakeholders. While we appreciate the outreach FDA does, only an advisory committee meeting can provide helpful recommendations to the agency that are the result of interactive discussion among stakeholders. Moreover, industry and academic experts may speak with an independent voice when they are members of advisory committee meetings, while in public meetings, they may be representing the view of companies that employ or fund them. Most importantly, many of the alternative forms of outreach identified by the FDA will not be subject to the transparency and conflict-of-interest requirements associated with advisory committees. This committee could help the FDA with the many challenges it faces carrying out its food and nutrition mandates. But this looks like another FDA decision already made. Never a dull moment: snortable chocolate?